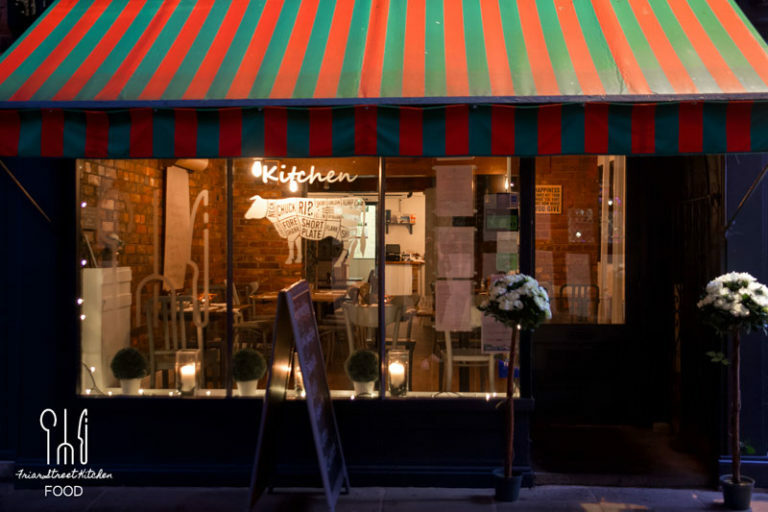 Friar Street Kitchen is located in the heart of the historic city of Worcester. Friar Street is one of the oldest and prettiest streets in the city and it gets its name from the ancient friary (Greyfriars) that once stood just outside the City walls at the end of Union Street. We are situated approximately half way along Friar Street, opposite Greyfriars House. Our address is 12 Friar St, Worcester WR1 2LZ. There are numerous places to park in Worcester City Centre – You can view all the options, including prices by visiting the Worcester City Council parking website HERE. The closest car parks to our restaurant are St. Martins Gate multi storey, the NCP multi storey on College St & pay & display parking on The Cornmarket. Disabled on street parking is available for blue badge holders on Charles St. which is just off Friar St.